Southcliff is a new home gated community just minutes from downtown Asheville NC. Gated communities like Southcliff are always in demand here in the beautiful Asheville North Carolina area. Call Green Mountain Realty today at 828.215.9064 for homes, land and real estate here in Asheville. The Sassafras is a mountain modern, open floor plan home with breath taking mountain views and universally designed to include an optional elevator to maximize aging in place. The large master suite located on the main floor features a spacious walk-in closet, elegant master bathroom, and private entry to the sunroom. The ample outdoor living spaces provide year-round mountain views, from two large main level and lower level decks, a screened in porch with a fireplace, and a sunroom, you can enjoy outdoor living throughout the year. Water not yet connected. Taxes to be determined. I have a question about the property at 527 Southcliff Parkway Fairview NC 28730 (#3412783). I would like to schedule a visit for the property at 527 Southcliff Parkway Fairview NC 28730 (#3412783). The Retreat at Southcliff. This home has been designed to give you luxury with a rustic touch and phenomenal view. 6" hardwood floors, natural stone fireplace, custom designed closets, a chef's kitchen and outdoor dining area. Wake up to see the magic of the Blue Ridge Mountains every single day. 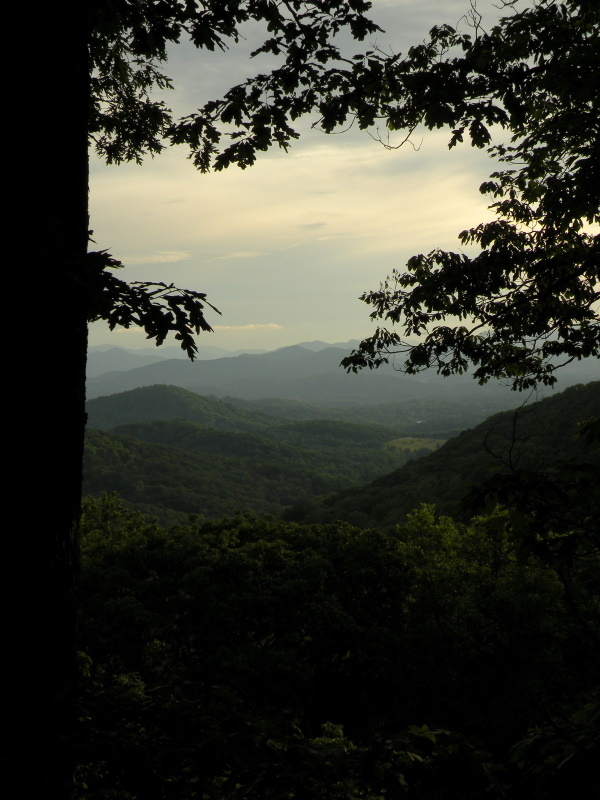 All of this in a 400 acre community located just 7.3 miles from downtown Asheville. City water not yet connected. Taxes to be determined. I have a question about the property at 448 Southcliff Parkway Fairview NC 28730 (#3411681). I would like to schedule a visit for the property at 448 Southcliff Parkway Fairview NC 28730 (#3411681). The Valley View is a uniquely designed home that has all the amenities and features that are worthy of the Southcliff Community. Quality construction and energy efficiency are the key ingredients that will make this home an investment of a lifetime. This 5-bedroom, 3 1/2 bath home has 2507 SF of heated space on the main level and a finished space of 1106 SF on the lower level. A large outdoor deck and spacious covered porch will insure that nature's best is just a footstep away. City water not yet connected. Taxes to be determined. I have a question about the property at 474 Southcliff Parkway Fairview NC 28730 (#3411817). I would like to schedule a visit for the property at 474 Southcliff Parkway Fairview NC 28730 (#3411817). I have a question about the property at 12 Clear Water Trail Road Fairview NC 28730 (#3492029). I would like to schedule a visit for the property at 12 Clear Water Trail Road Fairview NC 28730 (#3492029). Modern Mountain Masterpiece in the estate section in highly sought-after Southcliff Community. Ingeniously designed to welcome the great outdoors into your life. Enjoy the phantom motorized retractable screens (along the 32 feet of cascading doors) that blend the outdoor kitchen, outdoor living area, and the fire pit (overlooking a scenic private wooded lot) with your interior entertainment spaces. This inspiring combination provides you with a uniquely breathtaking venue. Additional highlights in this open concept home feature vaulted ceilings, a soaring fireplace, a wine bar, and locker, a club room with wet bar and sunken media room, two en-suite guest bedrooms and an oversized island in the chef's kitchen. For the most discerning tastes, the stunning owner's suite will truly impress. Award yourself with this timeless work of art. Parade of Homes Best in Show and Best Craftsmanship, 2014. Home Warranty provided by sellers. I have a question about the property at 7 Twin Springs Court Fairview NC 28730 (#3460713). I would like to schedule a visit for the property at 7 Twin Springs Court Fairview NC 28730 (#3460713). This is the new home you have been dreaming about. Perched at 3,000' elevation at the end of the cul-de-sac in the cottage section of Peregrine's Ridge, this home features all of the luxury details you love; cobblestone driveway, 5' hand scraped wood flooring, custom knotty alder cabinetry, commercial grade SS Thermador appliances and more! Come put your personal touch and make this home yours. Subject to Design Review Board approval. Taxes to be determined. I have a question about the property at 30 Peregrines Ridge Court Fairview NC 28730 (#3376033). I would like to schedule a visit for the property at 30 Peregrines Ridge Court Fairview NC 28730 (#3376033). Exquisite Southcliff town home with unparalleled attention to detail and breathtaking year-round views. Situated only minutes from downtown Asheville within the beautiful gated community of Southcliff. This custom town home boasts an open floor plan with cathedral tongue and groove ceilings, stunning 18ft stone fireplace, gourmet kitchen and expansive master suite on main. Lower Level media room, guest rooms and hot tub can all be accessed by elevator. All this and more makes this luxury home a true mountain paradise while offering the ultimate in "lock and go" flexibility. I have a question about the property at 29 Hawks Branch Circle Fairview NC 28730 (#3479700). I would like to schedule a visit for the property at 29 Hawks Branch Circle Fairview NC 28730 (#3479700). The Art Loeb by Osada Construction is a mountain craftsman style NC Healthy Built Home. Perched at 3,000' elevation, this home features an open floor plan, master on main, SS appliances, hardwood floors throughout and a covered outdoor porch. Southcliff is a 400 acre gated community with approx. 175 acres of green space just 7.5 miles from downtown Asheville. Taxes to be determined. I have a question about the property at 20 Peregrines Ridge Court Fairview NC 28730 (#3393297). I would like to schedule a visit for the property at 20 Peregrines Ridge Court Fairview NC 28730 (#3393297). This lovingly cared for Southcliff home is loaded with luxurious features including an in-ground swimming pool with spa. Nestled between a walking trail and neighbourhood park, the property offers quick access to Hwy 74. and is only 7.5 miles from downtown Asheville. The lower level of the home is at grade with the pool deck, and the main level covered porch looks down upon a rear yard oasis. With 5 bedrooms, 4.5 baths and multiple public spaces throughout the home, there is plenty of space for multi-generational use of this highly functional floor plan. The home features hardwood flooring throughout except for wet areas and the exercise room. Tile showers, granite countertops, custom built-ins, alarm system, pot filler and central vacuum are just a few of the designer features complimenting this extraordinary residence. I have a question about the property at 9 Pine Knot Loop Fairview NC 28730 (#3487181). I would like to schedule a visit for the property at 9 Pine Knot Loop Fairview NC 28730 (#3487181). Upscale mountain retreat offers luxury, "lock & go" in a gated community 8 miles from dtn. Asheville.! Designer custom finished townhome accentuates the exquisite definition in the details. Open floorplan, cathedral ceilings, stone surround woodburning/gas FP, gourmet kitchen, elegant main level master suite. Multiple upgrades & energy efficiency throughout. Lower level offers private guest suites, family room, spacious bonus room, wetbar. Upper & lower level decks provide wooded mountain views with beautiful sunsets. I have a question about the property at 5 Hawks Branch Circle Fairview NC 28730 (#3461299). I would like to schedule a visit for the property at 5 Hawks Branch Circle Fairview NC 28730 (#3461299). Welcome home to gracious Southcliff! Modern high-end interior, craftsman exterior. Maple cabinets, quartz countertops, double ovens, gas range, Rinnai tankless hot water. Relax with a glass of wine on the large screened porch. 3 car garage. Current owner finished the gorgeous walkout basement with bedroom, full bath, bar (with sink and Fisher Paykel dishwasher drawer), tv room, gym and wine storage! I have a question about the property at 12 Old Bridge Circle Fairview NC 28730 (#3480251). I would like to schedule a visit for the property at 12 Old Bridge Circle Fairview NC 28730 (#3480251). Arts and Crafts home in gated Southcliff community featuring a beautiful natural setting. Move in ready with fresh paint, hardwoods, granite, maple cabinets, SS appliances, oversized deck with fenced level backyard. Walk-in storage area in crawl space for all your extras. Excellent location only 10 minutes to downtown Asheville! I have a question about the property at 45 Slide Rock Way Fairview NC 28730 (#3490841). I would like to schedule a visit for the property at 45 Slide Rock Way Fairview NC 28730 (#3490841). Your opportunity to live in the exclusive, privately gated community of Southcliff, just minutes from downtown Asheville. With over 170 acres of green space, parks and walking trails just outside your backdoor. Built by renowned builders Sulaski & Tinsley, this home has quality construction and many extras. With 4 bdr/3baths, two master suites (one on the main level), two dens with gas fireplaces, beautiful hardwood floors, Infinity surround sound and two screened porches, this house has plenty of space. Nice corner lot on private road with privacy and connection to great neighbors. Great value for this award winning neighborhood. I have a question about the property at 18 E Owl Creek Lane Fairview NC 28730 (#3475901). I would like to schedule a visit for the property at 18 E Owl Creek Lane Fairview NC 28730 (#3475901). Incredible opportunity to own almost 3,000 square feet in Southcliff. Open concept floor plan with both formal and casual dining. The large kitchen features granite countertops and stainless steel appliances. The owner's suite and laundry room are on the main level with 3 large bedrooms and 2 baths upstairs, plus a huge bonus room with endless possibilities. Hardwood floors and plantation shutters are found throughout the home. A large covered deck and lovely back yard for year-round enjoyment. Community amenities include 24-Hour supervised guard gate, 7 miles of hiking trails, outdoor pavilion, and firepits. Close to schools, groceries, organic farms, and only 10 minutes to downtown and Mission Hospital. I have a question about the property at 8 Old Bridge Circle Fairview NC 28730 (#3483309). I would like to schedule a visit for the property at 8 Old Bridge Circle Fairview NC 28730 (#3483309). Beautiful homesite in Cliff Tops, the exquisite mountain top neighborhood of Southcliff. The 400 acre gated community of Southcliff features over 6 miles of hiking trails, community parks with open air pavilions, 175 acres of green space and is 10 minutes from downtown Asheville. City water not yet connected. I have a question about the property at 464 Southcliff Parkway Fairview NC 28730 (#3455139). I would like to schedule a visit for the property at 464 Southcliff Parkway Fairview NC 28730 (#3455139). Southcliff is a private, 400 acre community with 175 acres of green space. Just 7.5 miles from downtown Asheville, we offer a park-like setting, picnic parks, children's treehouse, pavilion and over 6 miles of lush hiking trails. Taxes to be determined. I have a question about the property at 42 Wonderland Ridge Lane Fairview NC 28730 (#3158980). I would like to schedule a visit for the property at 42 Wonderland Ridge Lane Fairview NC 28730 (#3158980). Rare opportunity to own a one-story floorplan in Stills Creek, a popular enclave of Southcliff that marries lock and go living with beautiful design. An open concept, split bedroom floorplan with soothing finishes and colors features a kitchen island, built-ins, Viking and Bosch appliances, and a large owner's suite. In immaculate condition and light and bright, this home is relaxing and comfortable. Enjoy the delightful fenced-in backyard with stone fireplace, arbor, and mature landscaping. Southcliff is a gated community with an emphasis on nature including 7 miles of hiking trails, playgrounds, and green space and is conveniently located close to schools, shopping, organic farms, and the Blue Ridge Parkway. Only 10 minutes to downtown Asheville and Mission Hospital. I have a question about the property at 20 Stills Creek Loop Fairview NC 28730 (#3485390). I would like to schedule a visit for the property at 20 Stills Creek Loop Fairview NC 28730 (#3485390). I have a question about the property at 553 Southcliff Parkway Fairview NC 28730 (#3458336). I would like to schedule a visit for the property at 553 Southcliff Parkway Fairview NC 28730 (#3458336). Beautiful homesite in Cliff Tops, the exquisite mountain top neighborhood of Southcliff. The 400 acre gated community of Southcliff features over 6 miles of hiking trails, community parks with open air pavilions, 175 acres of green space and is 10 minutes from downtown Asheville. City water not yet connected. Taxes to be determined. I have a question about the property at 541 Southcliff Parkway Fairview NC 28730 (#3352357). I would like to schedule a visit for the property at 541 Southcliff Parkway Fairview NC 28730 (#3352357). I have a question about the property at 565 Southcliff Parkway Fairview NC 28730 (#3352375). I would like to schedule a visit for the property at 565 Southcliff Parkway Fairview NC 28730 (#3352375). I have a question about the property at 557 Southcliff Parkway Fairview NC 28730 (#3352384). I would like to schedule a visit for the property at 557 Southcliff Parkway Fairview NC 28730 (#3352384). I have a question about the property at 474 Southcliff Parkway Fairview NC 28730 (#3352338). I would like to schedule a visit for the property at 474 Southcliff Parkway Fairview NC 28730 (#3352338). This homesite offers privacy and views. Southcliff is a private, 400 acre community with 175 acres of green space. Just 7.5 miles from downtown Asheville, we offer a park-like setting, picnic parks, children's treehouse, pavilion and over 6 miles of lush hiking trails. I have a question about the property at 17 Twin Springs Court Fairview NC 28730 (#3487260). I would like to schedule a visit for the property at 17 Twin Springs Court Fairview NC 28730 (#3487260). New homesite in Peregrine's Ridge. Southcliff is a private, 400 acre community with 175 acres of green space. Just 7.5 miles from downtown Asheville , we offer a park-like setting, picnic parks, children's treehouse, pavilion and over 6 miles of lush hiking trails. Taxes to be determined. I have a question about the property at 30 Peregrines Ridge Court Fairview NC 28730 (#3430208). I would like to schedule a visit for the property at 30 Peregrines Ridge Court Fairview NC 28730 (#3430208). Southcliff is a private , 400 acre community with 175 acres of green space. Just 7.5 miles from downtown Asheville, we offer a park-like setting, picnic parks, children's treehouse, pavilion and over 6 miles of lush hiking trails. Taxes to be determined. I have a question about the property at 303 Southcliff Parkway Fairview NC 28730 (#3471803). I would like to schedule a visit for the property at 303 Southcliff Parkway Fairview NC 28730 (#3471803).